Not all animals are asleep during the tour, and some don’t hesitate to show their surprise at the nightly visitors. The Okinawa Zoo, Kodomo no Kuni, is offering nocturnal visits to the facilities during June, starting this weekend. The 7 p.m. ~ 9 p.m. zoo tours are available each Saturday evening for 60 participants on a first-come, first-served basis. Admission is ¥1,500 for adults and ¥750 for participants age 4 through high school students. Reservations are required at (098) 933-4190. Night tour participants meet at Zoo School at the start of the tour. The meeting place is at Zoo School of Okinawa Kodomo no Kuni, near the east Gate, in Goya, Okinawa City. 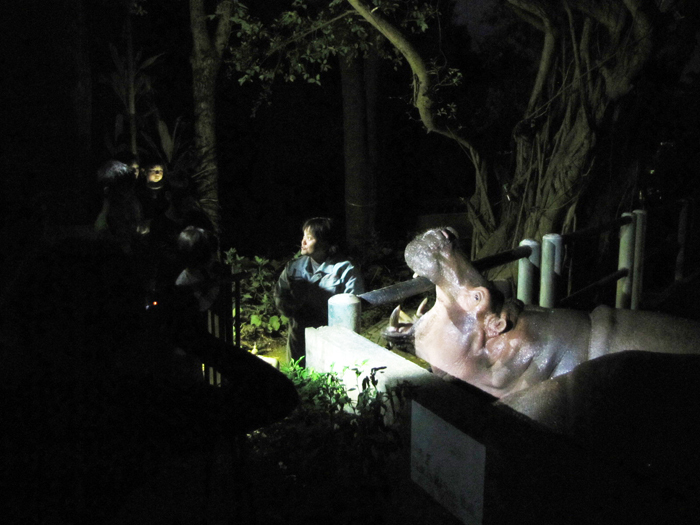 Zoo officials explain these tours are night tours with animal handlers as the tour guides, taking visitors on the walks through a pitch-black Okinawa Kodomo no Kuni after closing. The darkness permits observing fireflies and some other nocturnal animals, but since animals are surprised, the use of flashlights is forbidden. Because it’s a night tour, visitors should be aware they’ll not be able to see all animals inside the garden. As it is a night event, a guardian’s company is required for underage participation. 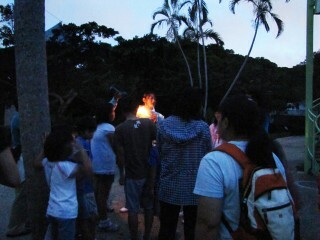 Visitors should bring an insect repellent spray, a canteen, etc. for each participant. Participants should apply to attend, or reconfirm their visits, by telephone one week before the date. At that time, one week before the desired date of 1st, 8th, 15th, 22nd or 29th, when 30 or more persons’ reservations are in place, they’ll be confirmed.